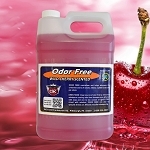 Odor Free "New Car Scent"
This kit contains one of each of our Odor Free Car Scent products. You receive four products. You save about $10 ordering the gallons this way and $5 on the quarts. the scents included are Vanilla Bean, Fabreezy, Wild Cherry and New Car! 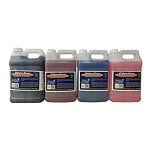 Detail King offers the largest selection of Car Deodorizer Sprays. 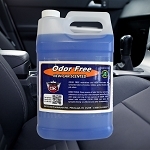 The most popular car deodorizer sprays are Vanilla Bean, New Car Scent, and Free Breezy. 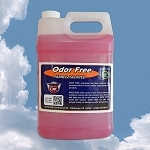 These car deodorizer sprays will not only leave a vehicle with a fresh scent, but will also deodorize and eliminate mal odors within the vehicle stemming from smoke, mildew, spoiled food, and more.